For some school’s already started. For others it’s just around the corner. Whether you’re knee-deep in school supplies or staying ahead of the mess, here are a few tips to cleaning out your mudroom and making the fall transition a smooth one. Old junk has a way of accumulating, and kids often cling to last year’s favorites. Toss old supplies and homework and consider replacing larger items, like a backpack that’s been dropped into one mud puddle too many. Ask your children to dispose of one thing for each new school item. If they’re having trouble purging possessions, try setting aside items to discard later. A week out of sight may loosen their grip. Once you’ve determined what will stay and what will go, you can contact your local junk removal company to come pick up the items that they no longer want or have any use for. Find ways to maximize space and recycle unused storage. 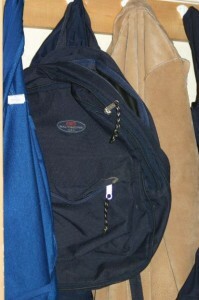 Try repurposing an old laundry basket to keep shoes out of the way or emptying out a cupboard to store backpacks. If you have shelves, line them with bins for easy cleaning. For added flair, let your kids customize their bins. Label each nook so they can really have fun with it (and to keep them accountable for staying tidy!). It’s easy to let junk manage you, but the solution is just as simple: give everything a home. Hang a hook or place a bowl for your keys. Keep shoes on a shelf or out of sight in a closet. Use racks or cupboards to keep backpacks out of your entryway. Give each of your little students a catchall for those odds and ends that may wind up on the floor. And give yourself one, too! The easiest way to discover what you don’t need is to organize the things you do need. Out with the old, in with the new and organized. Call Mr. Junk to remove your mudroom clutter and help purge those early morning tripping hazards. Is It Time for a Backyard Cleanup? A well maintained backyard can be an oasis for you and your family. Likewise, a backyard filled with old junk can become an eyesore, and something you would rather just forget about. Well, now is the time for you to clear it out and have a backyard that you can enjoy. 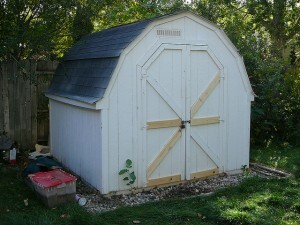 Yard sheds can provided needed storage for your lawn tools, and a well built shed can last years and look great. If your old yard shed looks like it is falling apart, try replacing it. Call in Mr Junk to remove your yard shed and start making plans for a well designed backyard. Take advantage of being able to plan a new spot for your shed that makes sense to your needs. Keep accessibility and design in mind so that it can easily blend into your landscape while maintaining functionality. Are you still hanging onto that old, rusty yard furniture? As the summer retail season comes to an end, you can start taking advantage of specials on new lawn furniture. When you call Mr Junk to pick up your old shed, why not have him pick up and remove old lawn furniture from your property as well? Find some great deals on lawn furniture now and enjoy your cleaner backyard as the cool months roll into Atlanta. Finish off your backyard renewal project by having Mr Junk remove your yard debris. 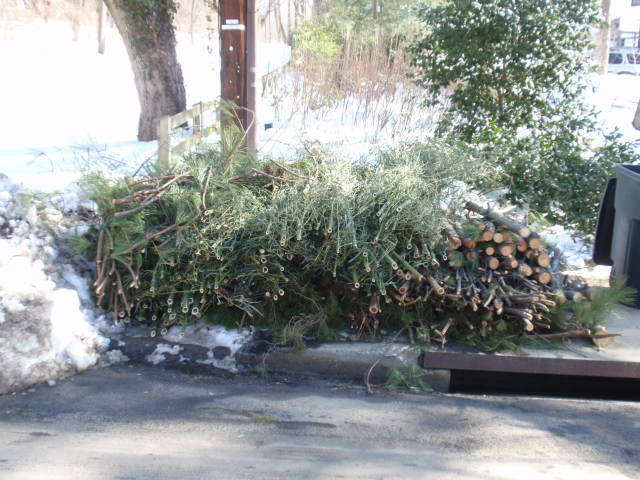 Whether you have yard trimmings, old trees, or outdate landscape features that you want removed, we can handle the loading and hauling for you. Contact Mr Junk for all of your Atlanta junk removal needs and enjoy the freedom of a clutter free home. Have you noticed all of the home improvement projects going on in Roswell, Georgia recently? It seems as if current homeowners and those looking for homes for sale in Roswell have been bitten by the upgrade bug. Many people who are buying new or are going through a renovation love getting new appliances. However, what are you supposed to do with all of your old appliances? Do you have old appliances and electronics that you need hauled away? Mr Junk provides junk removal in Roswell, Georgia. We pick up many appliances and electronics that you need taken away. When we remove appliances from your home or office, we look for the most responsible way to recycle or dispose. Mr. Junk realizes when we work together we can keep our environment clean for future generations. 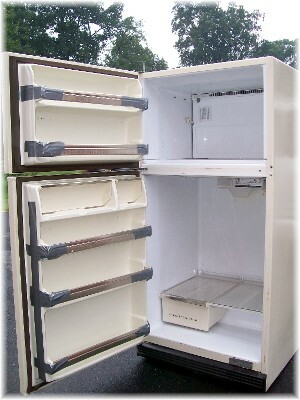 This is why we donate or recycle 100% of the appliances we pick up. Rest easy and enjoy your new appliances by letting Mr Junk remove and find a new home for your old appliances. Contact us today to make room in your home. Updating your home’s curb appeal is a great way to add satisfaction and value to it if you plan to sell. Most of your gardening and planting are most likely finished by now. Since you are not spending your weekends at the plant nursery, now is a good time to reassess the status of your old lawn furniture. Is it time to make that outdoor living upgrade that you have been wanting for years? 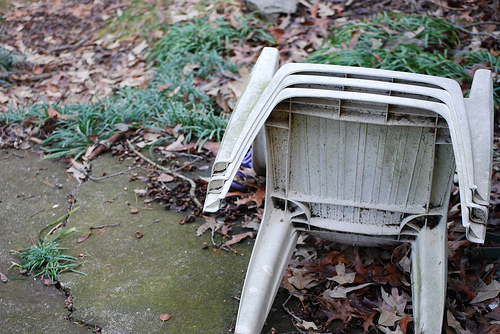 Now might be the perfect time to have your old yard furniture hauled away, and replace it. Summer may have officially just started, but not according to retailers. A few days after the Fourth of July, retail businesses have already started to think about the fall product line coming out. Here are a few reasons why it might be a good time to wave your old furniture goodbye. Retailers are starting to slash prices for outdoor furniture. Why? Most people get excited about the warm months ahead when it’s still cold out or at the beginning of spring. By the time July hits, enthusiasm dies down and there is a lull. This is a great opportunity for savvy shoppers who want to immediately enjoy new outdoor furniture for the next few months and the amazing prices. Your old furniture can have a second life. 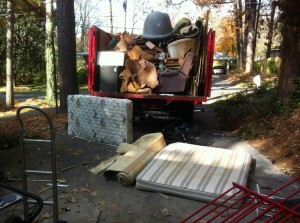 Our Atlanta junk removal services cover furniture removal. When we pick up your old outdoor furniture, we look to recycle as much as possible or give it away to families in need before we consider taking it to a landfill. When getting rid of your old yard junk, consider furniture removal services when you are getting ready to spruce up your outdoor living area. Mr. 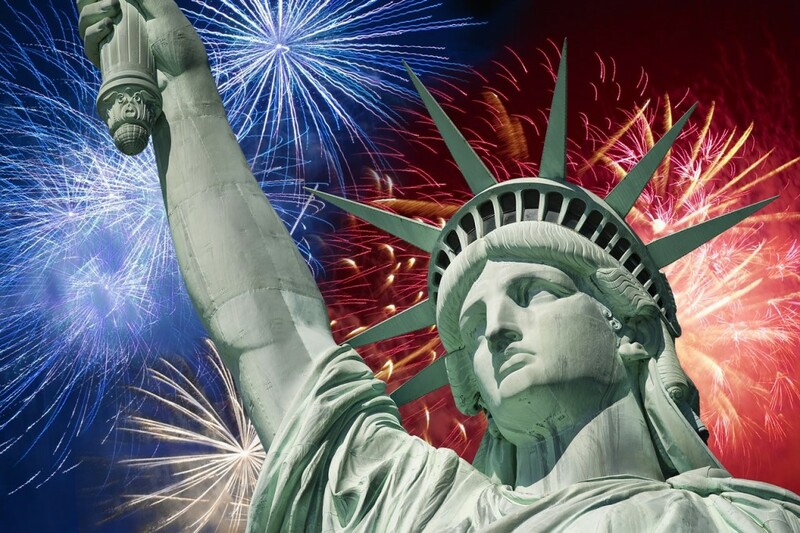 Junk would like to wish all of Atlanta a very happy and safe Fourth of July. We’re thankful for all of the freedoms we enjoy, including serving our neighbors around the area. We hope you get to spend your day celebrating with friends and family! Nothing makes you realize how much junk that has accrued over the years like moving to a new home. Maybe it’s due to the fact that most people hate the process of packing and moving, but somehow we are able to take a second look at what is in our home and question whether or not it should move with us. Moving to a new home should be like a fresh start. 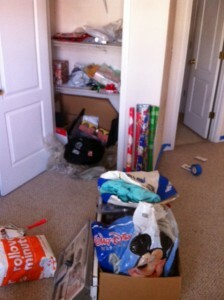 It doesn’t make much sense to bring the junk you don’t want to your new beginning, right? This can be especially true for empty nesters who might be downsizing to a smaller home, townhome, or condo. Your local junk removal services in Atlanta can help make the process much easier. Here are a few suggestions on how to sort out the junk before you move. Look for worn out furniture like couches and dressers. Nothing can make a new home look old like worn and torn furniture. Go ahead and have Mr Junk remove the furniture for you. Rest easy knowing that furniture in good enough condition can be donated to a needy family. Do you have appliances that are just collecting dust? Many people end of with a collection of home appliances like vacuums, blenders, or old mixers. Keep your kitchen from cluttering up with junk removal before your move. It’s time to throw away the random gifts, “collectibles” and the “one day, this will be worth a lot” junk in your home. You can usually find these types of items tucked away in your garage, or stored in boxes in your basement. If you say, “Oh, I forgot I had these,” then they might be a good candidate for adding to the back of our junk removal truck. If you have a big move coming up, make sure you leave the clutter behind and enjoy a fresh start in your new home. Contact Mr. Junk to help you with your junk hauling and recycling needs in metro Atlanta, Georgia. It’s nearly summer time in Georgia! The kids will soon be out of school for summer break. Do you need to get your closets in order for the summer months ahead? The team at Mr Junk, in Canton, GA shares some great Closet Organization Tips in this post. Shoe space: Use a slanted platform so you can store your shoes in your closet and actually see them. You can make your own with plywood if you are handy and want to save money. Seasonal Storage: If you didn’t clear out your closets in the Spring this year, now is a good time to start seasonal organization. Store your winter clothes in a storage bin (outside of the closet especially if you have a small one). In the winter store your summer clothes in that same bin. You will have much more space in your closet no matter what size it is if you practice this at least twice a year. Start Categories: For an easier way to pick out your outfits in the morning arrange your clothes according to category. For instance put all your dress pants together, dress shirts, casual shirts, jeans, and work clothes. If you really want to get organized also consider arranging your clothes by color. You’ll be able to not only pick a style with ease but also the color you want. What happens when you clean out and organize your closets and still find out you have too much stuff to be neat and organized? What will you do with all that extra junk? Mr Junk can haul any and all of your old clothes,shoes, and other items that are causing your closet to be overcrowded. All you have to do is give us a call and point us in the direction of the mess. 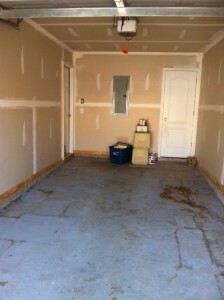 We will clean it out and haul it all away, leaving you with a cleared out space to work with. If you have any questions or would like to know more about our services please contact us! Decide where the best place to keep your recycling is in your home. Some people like to use their kitchen and organize a cabinet or two to keep their recycling stored until it is picked up. While others prefer having it set up in the basement or garage for easier transport to the outside pick up. Once you have made this decision you will just need to take a few more steps to get your recycling piles organized. Separate Glass, Plastic, and Metal. Depending on your particular recycling service you will need to make sure you recycle certain items and not others. Check with your service to be sure you aren’t hanging on to something to recycle that they won’t accept. To keep things simple for your family label your bins accordingly. Keep Paper and Cardboard stored separately as well. Most recycling places require you to sort your items like these so go ahead and get bins and label them for Paper and Cardboard. If you have room in a closet or cabinet or even shelves keeping these things stored in one of those areas will keep the rest of your home feeling less cluttered. That way you won’t be tempted to give up on your recycling adventure just because it can be a big mess. What do you do if you have large or small items that can’t be recycled but need to be gotten rid of? Do you have an old sofa or refrigerator that is taking up valuable space in your garage or kitchen that could be used for your new recycling center in your home? If so give Mr Junk a call our team is ready to help you haul off any junk that you are ready to get rid of. If you have any questions or would like to know more about our services please contact us.